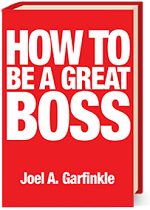 Although hard work, experience, leadership, and your ability to influence others are all key factors in getting promoted, executive presence is often the factor that separates the great employees from the exceptional. Executive presence can mean the difference between sitting stagnant on one rung of the corporate ladder or quickly climbing past your co-workers. There are three excellent ways to develop this distinctive quality: building a strong personal brand, stepping outside your comfort zone, and recruiting influential advocates to support you. I discuss these three methods in my recent guest blog post, “3 Killer Ways to Build Your Executive Presence,” for Diane Craig’s Corporate Class Inc., a leading image and etiquette consultant company that has been advising Fortune 500 companies for more than twenty years. In my post, I discuss how building your brand helps you set yourself apart from your co-workers and establishes you as an expert your employer will value. I also explain how risk-taking isn’t just for leaders, but further establishes you as the employee who goes the extra mile for your organization. By the time you’re done reading this post, you’ll have a better understanding of how important strategic relationships and executive presence are to your career and job advancement. With these methods, you’ll gain more organizational recognition, become more influential and have strong allies in your corner. Through the development of executive presence, you will be a driver of change who creates innovative solutions and positively impacts your company’s growth and success. Each of these factors will transform you from a great employee to an exceptional employee your organization will be eager to promote. 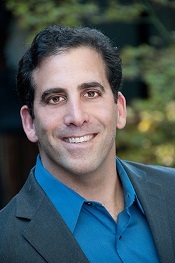 Joel Garfinkle is a personal leadership coach who has helped develop effective leaders in many top companies. He has worked with clients at Shell Chemicals, Eli Lilly, Coldwell Banker, and dozens of other leading businesses in the US and worldwide. What’s the one quality that can help you stand out in front of your co-workers and top management? If you answered “branding,” you’re a step ahead of the rest. Branding yourself sets you apart from the competition and gets you noticed. 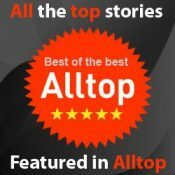 What does branding do for your career? Building a brand allows you to project yourself as the absolute best at what you do. 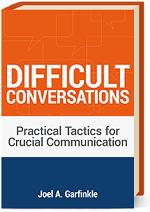 This establishes you as an expert in your area of expertise, proving your worth to your organization. Identify your strong qualities and what skills come easily to you. You might have a knack for making presentations or perhaps your technical skills and know-how far surpass those of your colleagues. Letting people know what you are good at is the first step in building a brand that will get you noticed by your superiors. Don’t be afraid to tell senior management and your boss about your unique talents. If you know you can handle a product launch presentation with confidence, volunteer to lead the team. Being proactive and letthing your boss know he or she can count on you is an important aspect of brand building. Establish yourself as the go-to person for a particular task. Instead of being a Jack or Jill of all trades and known for none, build your brand to reflect 2-3 things you do extremely well. The more focused your skill sets, the more “expert” visibility you’ll gain. Once you gain visibility, you need to keep track of your successes so you get the credit you deserve. 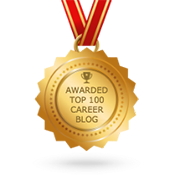 To learn how to keep your peers from getting the credit you worked so hard for, read this guest blog post I wrote for Bret L. Simmons: Don’t Make Your Work Look Too Easy. Brand building is just the first step to becoming more visible at work. If you seriously want to get ahead you need to build perception, visibility, and influence. The exact formula is revealed in my latest book. 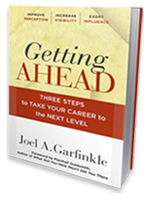 Order Getting Ahead: Three Steps to Take Your Career to the Next Level now!